Easter – what “springs” to mind when you hear the word? Unless you have been living on another planet for the past few decades, it is typically a glut of chocolate confectionary and sweet treats and cakes. 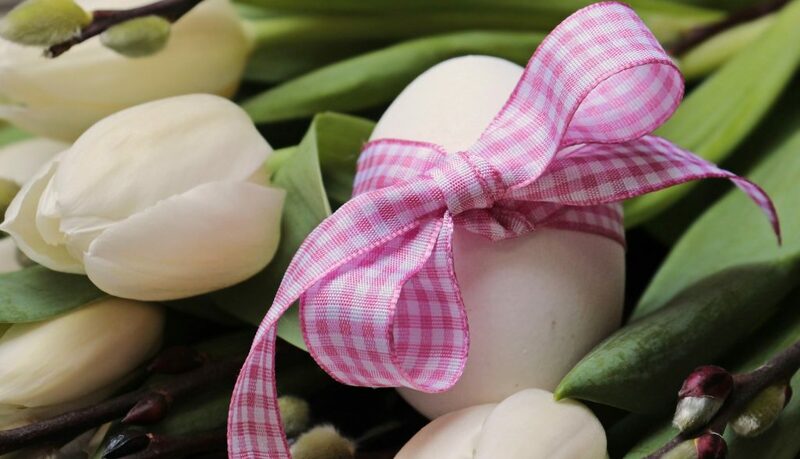 The word “Easter” comes from the Norsemen Eostur, Eastar, Ostara and Ostar and also the pagan goddess Eostre, the Saxon fertility goddess (and where the word oestrogen derives, which is the female hormone involved in reproduction). At the feast of Eostre an ox was traditionally sacrificed and the horns were crossed, becoming the symbol of the season. These were then marked onto bread – and have become what we now know as Hot Crossed Buns. Easter occurs in the spring, and is held on the first Sunday following the full moon on or after the spring equinox, which is why there is no fixed date, falling between March 22nd and April 25th. It is symbolic of the new life beginning after the long hard winter, symbolising fertility and rebirth. The tradition of eggs at Easter is not a new thing – although the chocolate ones obviously are! Eggs were a symbol of new life amongst the ancient Egyptians, the Persians, Phoenicians and Hindus. The egg became a symbol of the resurrection of Jesus Christ, representing his emergence from the tomb. During Lent, Christians traditionally avoided eating meat but also eggs, which is another reason that they were so prized at Easter time after a long period of abstinence. The first painting of eggs came from the Mesopotamians, who painted ostrich eggs red to symbolise the blood of Christ. But where did the Easter Bunny originate? Well, the hare was the symbol of the Norse goddess, Ostara, and again was representative of new life. 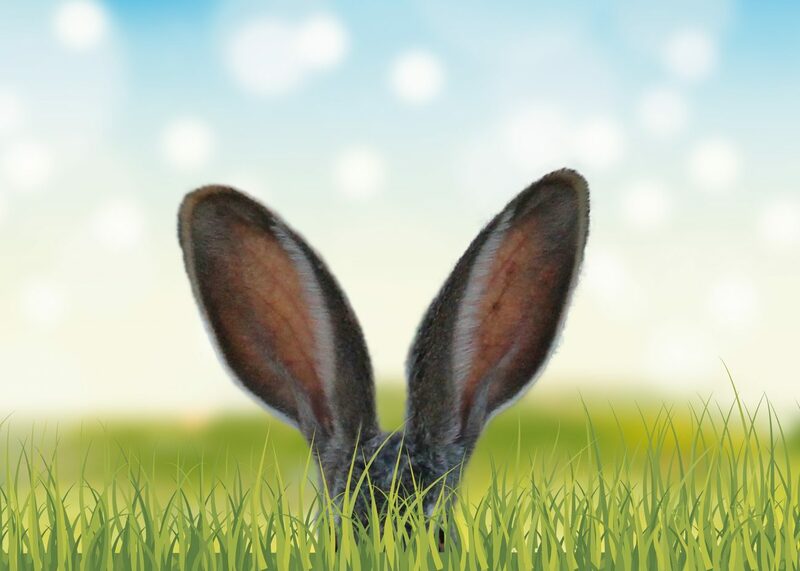 It is thought that the Easter Bunny originated in Germany, where children believed that if they behaved well the Easter Bunny would leave painted eggs in their bonnets. Of course all this is very removed from today’s interpretation of Easter. We now have buns rather than plain bread, and these are typically quite sweet, made with dried fruit and a glaze on top, which makes them far more addictive from the original unleavened bread. And, of course, we have chocolate Easter eggs, the first of which were made in Europe in the early 19th century, originating in France and Germany. In 1875 John Cadbury made the first of the now extremely popular Cadbury’s chocolate eggs. Now we have umpteen varieties of Easter eggs on the market, often almost as large as a child’s head and filled with various sweets and chocolates. Many children often have many to choose from on Easter Sunday as friends and relatives lovingly bestow them with these confections. And, of course, the marketing wheel gallops ahead of us so these “traditional” offerings are invariably available at least one month before Easter – with other types, such as the Cadbury’s Crème Egg available all year round. So, as is often the case during “holidays”, we are faced with all sorts of temptations and treats that frankly we don’t need, and many people dread. Dreading, not only for their own waistlines but the worry of the next generation, who are rapidly succumbing to obesity, type 2 diabetes, teeth extractions with some children falling victim before they even enter their teenage years! If this were simply a once-yearly “treat” then maybe we needn’t be as worried, but of course we have the same for Valentine’s Day (boxes of chocs and heart shaped cakes), Halloween (huge goodie bags of sweets) and the big one – Christmas, where it becomes normal to eat as much as possible of all the foods that have no nutritional value and are contributing to a world epidemic of ill-health. Add in birthdays and other occasions that we celebrate year round, and the marketing machine has done a fantastic job of convincing us that we simply MUST have sweets and processed foods or the celebration just won’t be the same! So how do we say no? The problem we have, it would seem, is that if we pull away from these “traditions” we are perceived to be mean or “depriving” our children (and ourselves) of something that “won’t do them any harm”. I know of several parents with young children who are trying to do their best by restricting their intake of junk food, only to have their efforts thwarted by their own parents! Yes, grandparents love nothing better than to ply their darling grandchildren with biscuits, cakes, chocolate and sweeties. It would appear we are facing an uphill struggle. Lou Walker presented an excellent Tedx talk based on a study looking at the subject of “Office Cake”, whereupon office workers were asked whether they actually wanted to have cakes brought into the office regularly (you know, “it’s Friday, let’s have a cake”, “it’s Wednesday let’s have cake”…) and the overwhelming response was that NO, they didn’t want this, but found it very hard to be the one person standing up against everyone else, and being perceived as the goody-two-shoes. So, what is the answer? Well we can certainly take a stand and decide that we are going to do things differently. But make no mistake it is hard because we are faced with temptations and concerned friends and relatives anxious that we are all “missing out” or behaving in an “obsessed manner”. Should we make food substitutions for example? There are certainly many items available nowadays that offer “healthified” options, but what does this really mean? Products are made with coconut flour or almond flour rather than wheat flour to avoid gluten, or dates are used rather than sugar (FYI dates are extremely sweet and sugary), dark chocolate is recommended over milk chocolate, but all of these “healthier’ options are still pretty much just junk food in disguise. Funnily enough there will always be someone standing up to state that “foods” such as chocolate are actually good for us and that cocoa is, in fact, a ‘superfood’. Interestingly the studies that seem to suggest this are usually funded by the food industry – and chocolate specifically by Mars (yes apparently mars bars are good for you!). Seriously? What do you think? Processed food is processed food. Changing ingredients rather than your eating habits won’t actually solve the problem. I know of many people who believe that they are “eating clean”, but are still battling daily with the scale, not understanding where they are going wrong. We think that we can eat the ‘healthy’ option with no consequences. The answer lies in changing your mind-set (for more on this click here), and not being afraid to stand out from the crowds. Of course it does get trickier when children are involved – they compare themselves to their friends, they are subject to peer pressure, teasing and bullying and that’s not funny for any parent to have to deal with. Don’t get me wrong, I am not completely against having the occasional treat, but we seem to have lost our way and a treat is now an everyday occurrence, which has had a huge impact on society at large. Perhaps it’s time to start joining forces with each other, rather than trying to be the odd one out, and at least bring back the real holiday traditions. Let’s get children involved in painting real eggs, and appreciating the value of good food. Is it too late to make such changes? I really hope not. If we can begin to change the way we view food as entertainment and re-learn to nourish ourselves, we might stand a real chance of bringing not only ourselves, but our children, back from the brink of this obesity crisis we now call “normal”.